Our award-winning single vineyard premium Shiraz is sourced from the Opera Block’s oldest vines. Winemaker Dylan Rhymer has delivered a delicate balance of fruit and French oak. 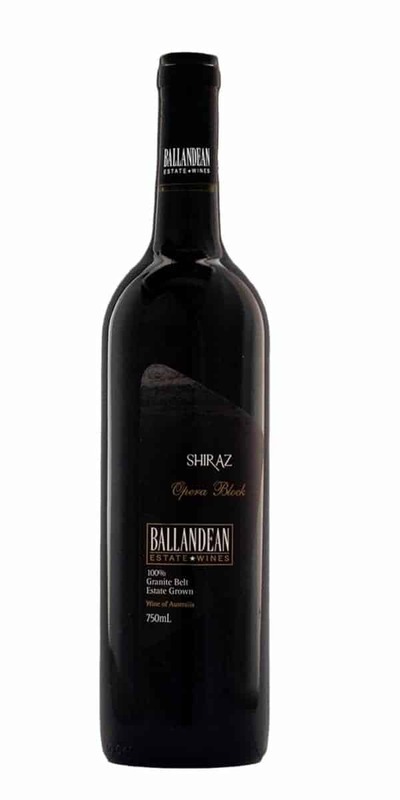 This Shiraz is an eloquent demonstration of the Granite Belt’s terroir, boasting ripe berry and cassis aromas. On the palate, intense blackcurrant, light pepper and spices combine with medium tannins for palate structure and a smooth, lingering finish. Aged for 12 to 15 months in air dried French oak barriques. The tannins in this Shiraz will complement the richness of lamb shanks or a veal osso bucco, whereas the spice aromas are a match made in heaven with a Moroccan beef tagine. Cellaring potential This beautifully structured wine will reward long term cellaring. Drink from now to 10 years. The fruit was handpicked in April 2016 then whole bunch pressed. After a long fermentation, the wine was aged for 12–14 months in Reserve French oak barrels that are one to three years of age. Minimal filtration and no fining required before bottling. Angelo Puglisi cemented his future in winemaking by planting a block of Shiraz vines in 1968 on his Ballandean farm. His decision to convert from table grapes to wine grapes was brave and he and Mary worked hard to produce wines of quality and create a market for their Granite Belt grown wines. Those first vines have been lovingly nurtured over the years and now produce the award-winning Opera Block Shiraz—refined, elegant with intense fruit typical of a cool climate profile.